My wonderful FIL is having a birthday. Hubs and I put together a package of his favorite TV munchies. 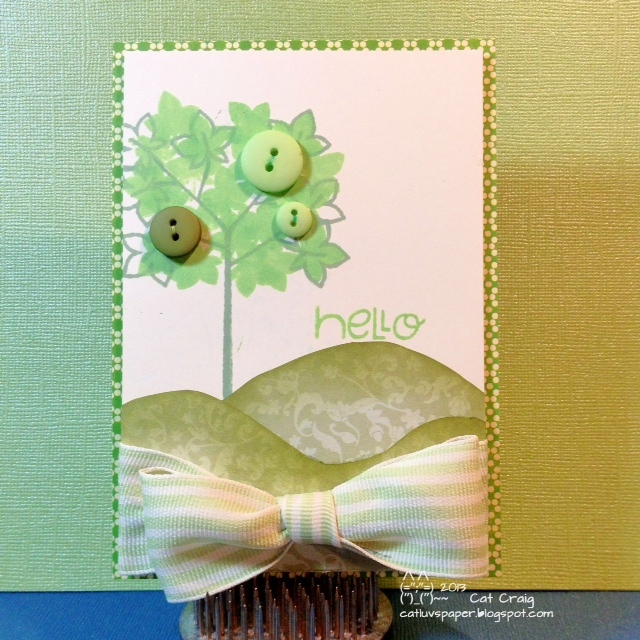 I nestled the goodies in crinkle paper then sprinkled some Happy Birthday confetti around and lastly placing this card on top. I used a big brown striped bow to close the clear gift bag. Then it was boxed and sent off for mailing. Happy Birthday Dad! Late June Hubs and I went on a day trip. We often do this, drive somewhere unknown and find a lunch spot eat and walk about a bit. It doesn't take much to entertain me. 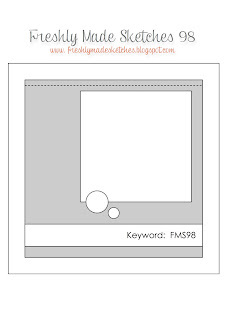 I have wonderful pictures I will be putting in my scrapbook. This trip also gave me inspiration for a set of note cards. The island is/was full of lush huge hydrangea bushes. 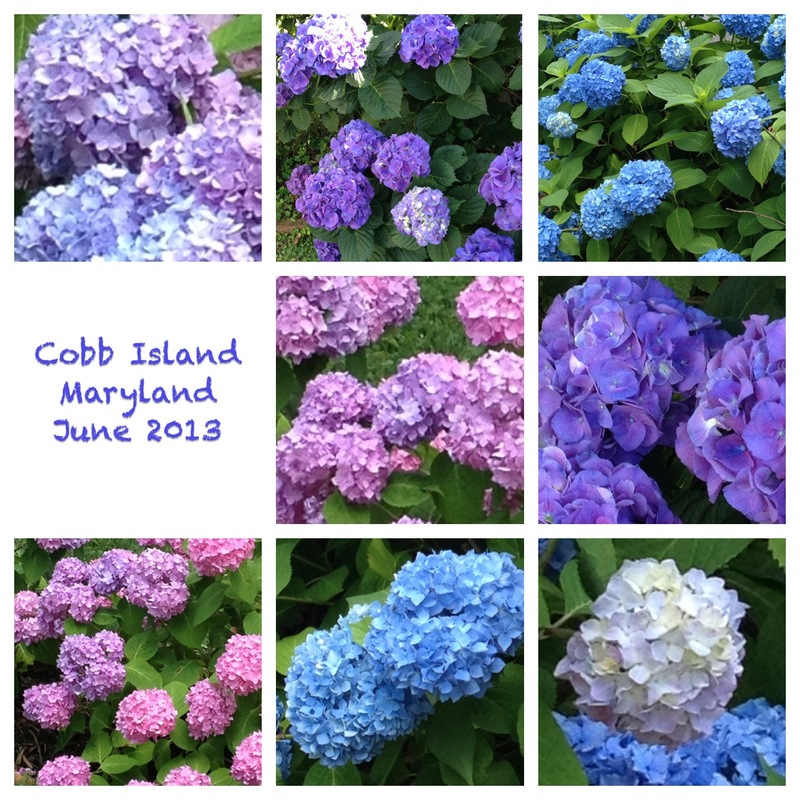 The colors varied from a deep raspberry, to pink, to lavender, and the most gorgeous teal blue. 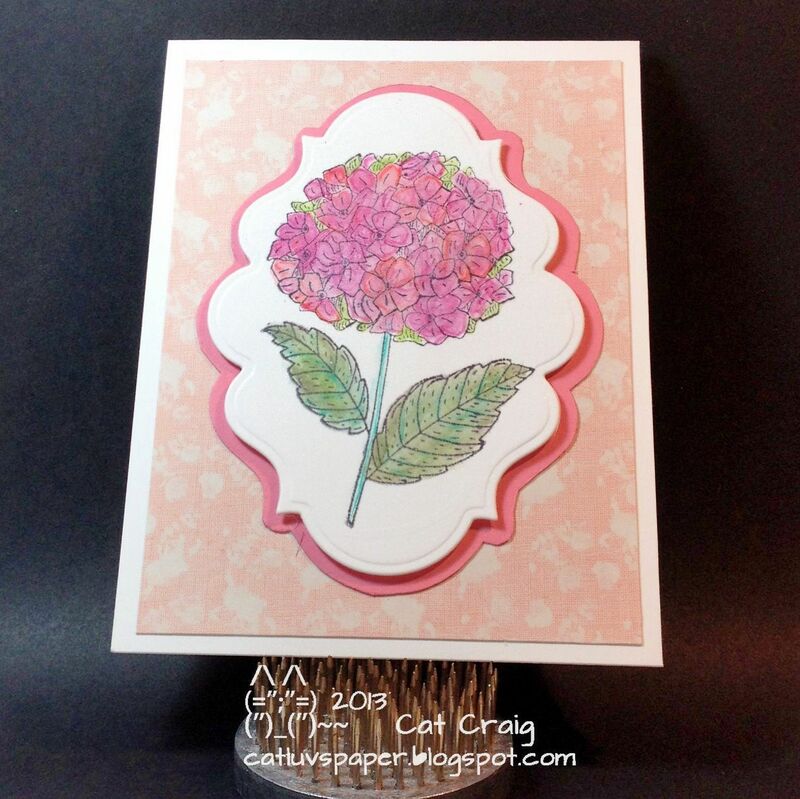 I have three cards to share with you, one from a Hero Arts Stamp (purple) one from a Penny Black Stamp (pink) and one using a vinyl sticker (blue/teal). 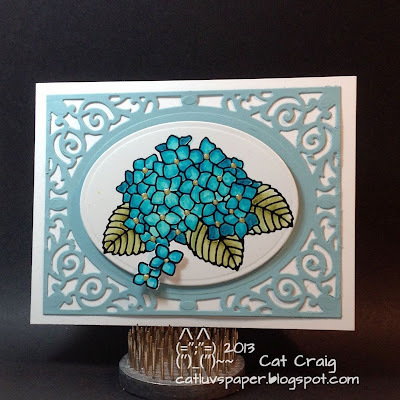 I used metallic gelato's to color this one because the stamp had a lot of details and I felt I could wash the color over the image and not lose the look of the stamp. I like the softly fuzzed look. I used inktense pencils on this one, trying to get that rich raspberry color I remembered, but it didn't quite make the shade. It is difficult to tell, but this one was sprayed with Radiant Rain Shimmer Mist in Ice Glaze. It softly shimmers in person. I used glossy paper under the sticker for this one, and Spectrum Noir markers to color inside the sticker. The centers are liquid pearls. This is by far my favorite of the three. It really brings me back to those lush bushes on Cobb Island, and I love the look of this one. Up close the petals and leaves have a little streaky-ness, and it makes the image look a bit like stained glass. Hi it has been a while since I played with the Pinspired Challenges. 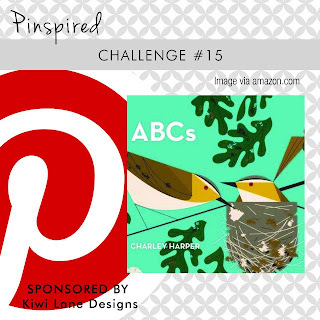 Above is the inspiration pin. I was inspired by the bird, the wood-like feel and the curves of the leaves. I made a 4.25" square card. I love to mix patterned papers. I used blue/green hues of SU patterned papers cut using Kiwi Lane designer templates for cards, then I inked their edges for added dimension. My bird was punched out and sprayed with Smooch Spritz in spun sugar. The bird and branches are from the SU build a bird punch. I added a wood veneer ampersand to anchor the two white heat embossed sentiments together. Thanks for taking a look. I decided to play along with Freshly Made Sketches #99 again this week. The sketch is very versatile much could be done with it. I again pulled out my Stampin Up stamps, papers and inks. I also used a Simon Says Stamp triple circle die and cuttlebug embossing folder, and some embroidery thread. 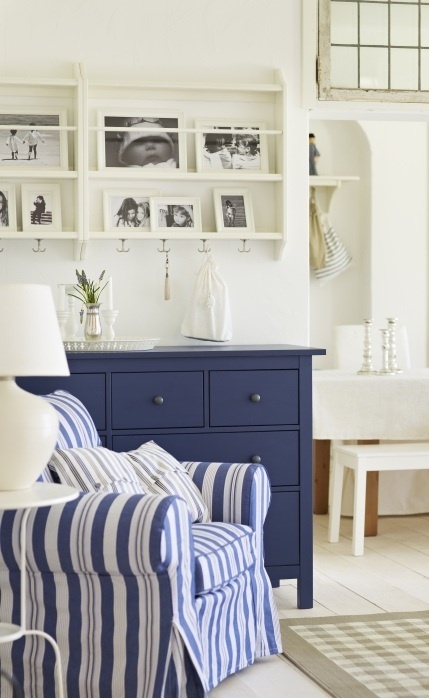 I loved the navy stripes and that neutral rug. I needed a man card so here is my take on the trigger. 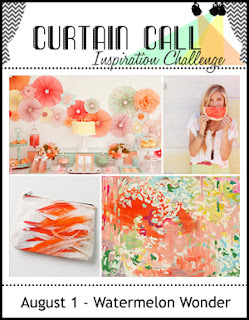 I loved the challenge theme over at Shopping our Stash this week. It is the colors or woodgrain. I did both. 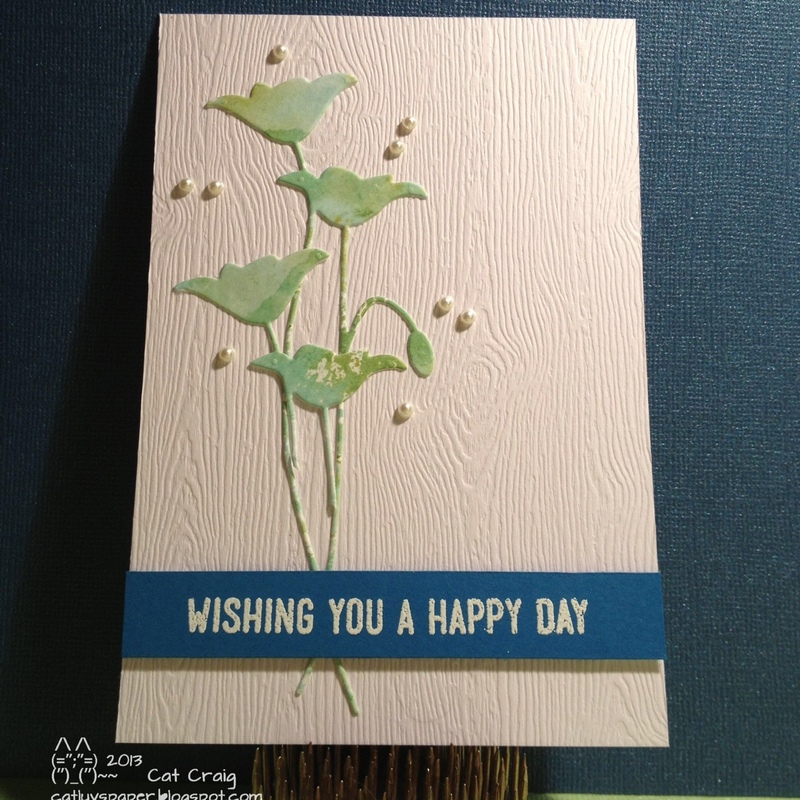 My card is made on white wood grained cardstock. I used distress inks on watercolor paper and die cut the poppies twice. A Simon Says Stamp Sentiment was white embossed. I added a few pearls because I couldn't leave well enough alone. LOL. The team at the Simon Says Stamp Wednesday challenge are using Paper Smooches products for the latest challenge - Monochromatic. 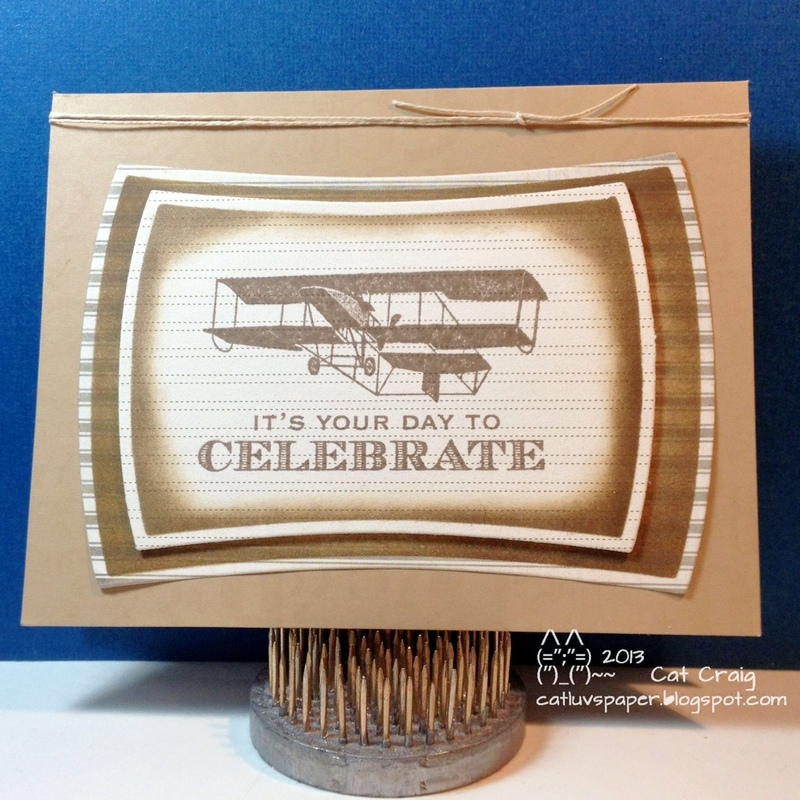 I have one image stamp set and one sentiment set from Paper smooches. So I ran with it. Since I don't want an autumn feel too soon, I went with greens for my tree. Sunday I played in Linda's Scramble. 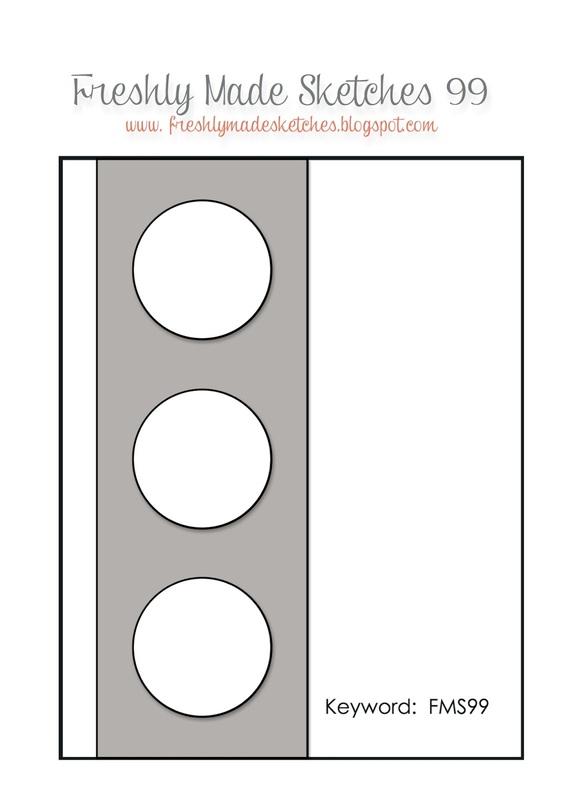 We were given instructions to mix one non-Hero Arts stamp with a Hero Arts stamp on our project. 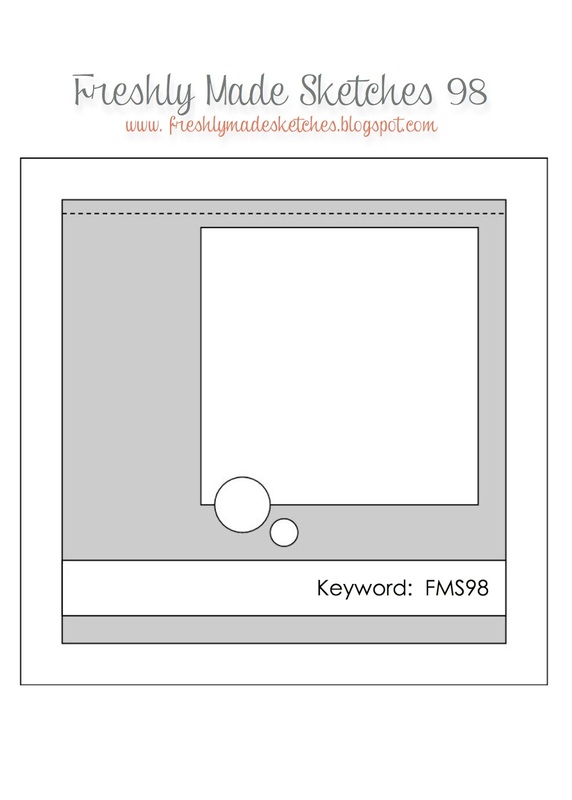 We were given the usual 90 minutes to create, photograph and upload to the Flickr Group. I ended up making two cards, very different styles of cards. My first card is for my Dad, he's heading out on vacation for a bit. I always need practice with the manly cards so I used this opportunity. 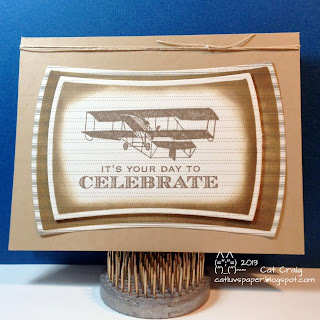 I combined a newsprint background stamp from Impression Obsession with a vintage-y set from Hero Arts, as well as a second Hero Arts set for the sentiment and banner. 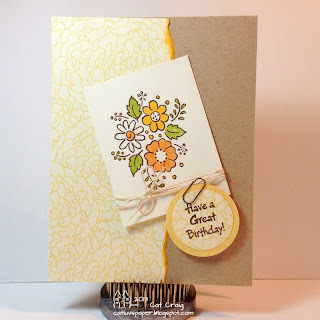 Spellbinder dies, versamark inks, white embossing powder and SU patterned paper were used as well. My second card is for a friend of mine, who I like to surprise with cards now and again. She and I were co-workers and she is still plugging away. 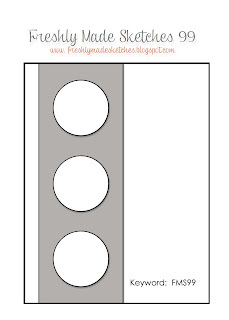 I kinda decided to look at my stamps from a new perspective. 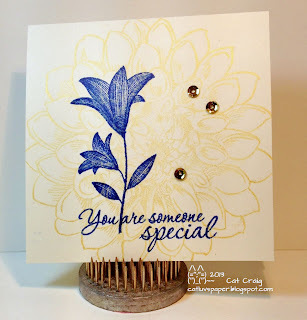 I used a very large Dahlia stamp from Stampendous and stamped it in a light gold on cream paper to use as a background. Then some bright blue ink with another flower and sentiment on top of it. 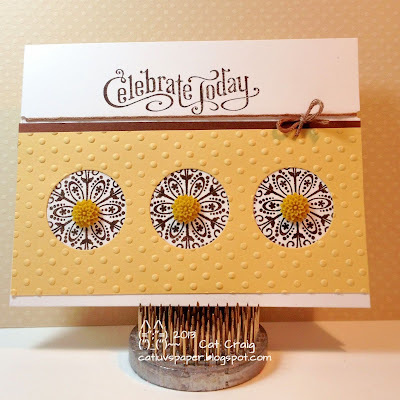 No masking, just layered stamping. The etched flower and sentiment were Hero Arts products. The ink is versafine and the sequin are from Darice. I really fell in love with the second card. It may just have to become my standard thank you card for a while! I will definitely make more in this vein. Have you participated in a scramble or timed challenge? They are fun and there is no time for second guessing yourself. Sometimes I find that very helpful. Sometimes I really NEED to take another look! LOL. Thanks for stopping by. 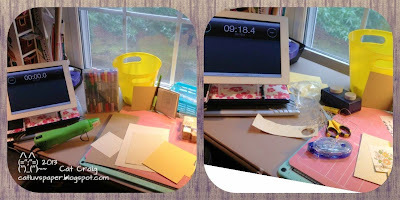 I have participated in the 10 Minute Craft Dash over at Pretty Pink Posh a couple of times. IT IS NERVE WRACKING, but SO MUCH FUN too. They are celebrating the 1 year anniversary of the 10 Minute Craft Dash with a Birthday Theme. I decided to play along after I went through their hop and saw all the amazing cards that were created. 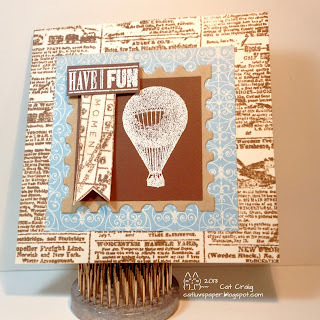 Supplies: Papers- Stampin Up Patterned and Very Vanilla CS, Recollections Kraft and Yellow CS, Stamps- DeNami Designs J147 Garden Bunch, Hero Arts LL692, random twine, Tim Holtz mini paperclip, Inks-Vintage Sepia by Versafine, Daffodil Delight by Stampin Up, Hampton Arts clear embossing powder. 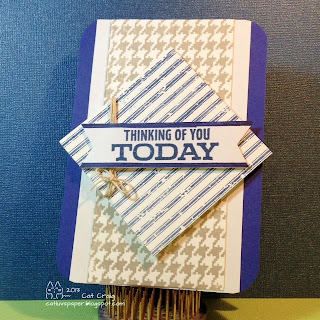 I sat at my craft desk today and really really wanted to make some cards. I needed some inspiration. The Freshly Made Sketches challenge was in my email and I started there. 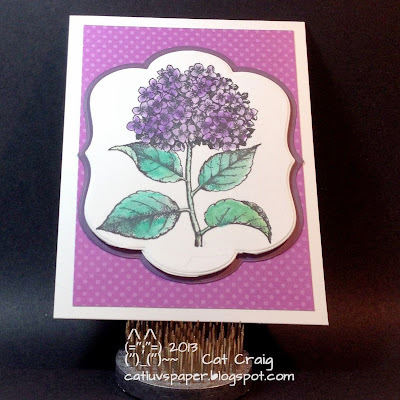 I got out my Stampin Up Supplies and went to work. 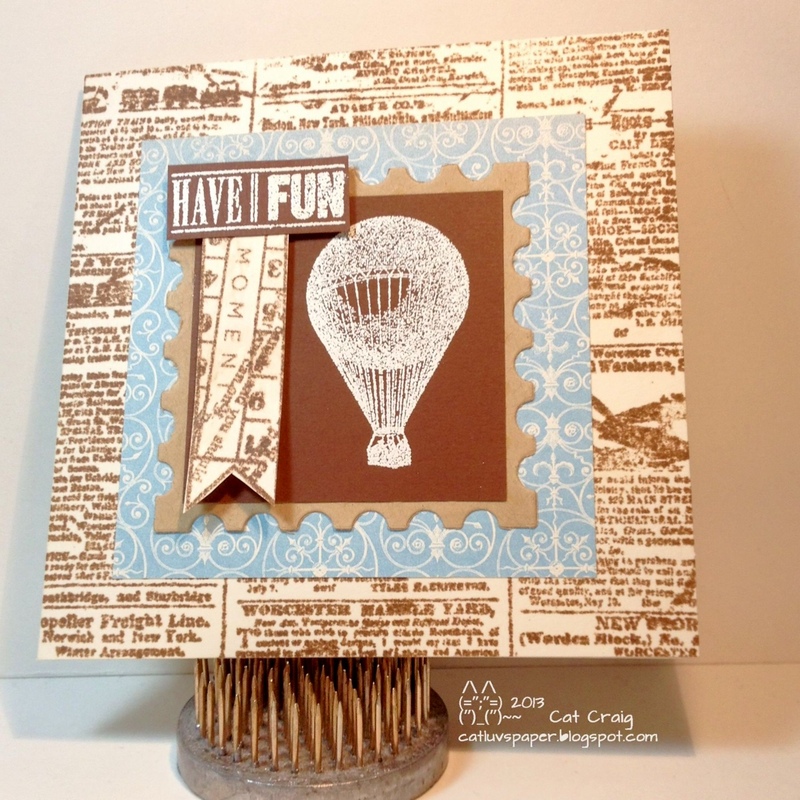 All papers, stamps, inks and embellishments are from Stampin Up. I colored the gem and made my faux stitching with a navy sharpie. Thanks for stopping. 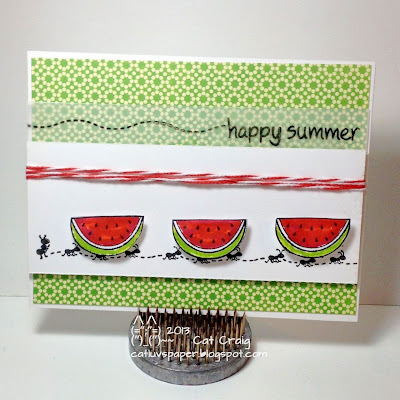 I took quite a literal approach, as I had a new to me Lawn Fawn stamp set with a cute little watermelon slice. 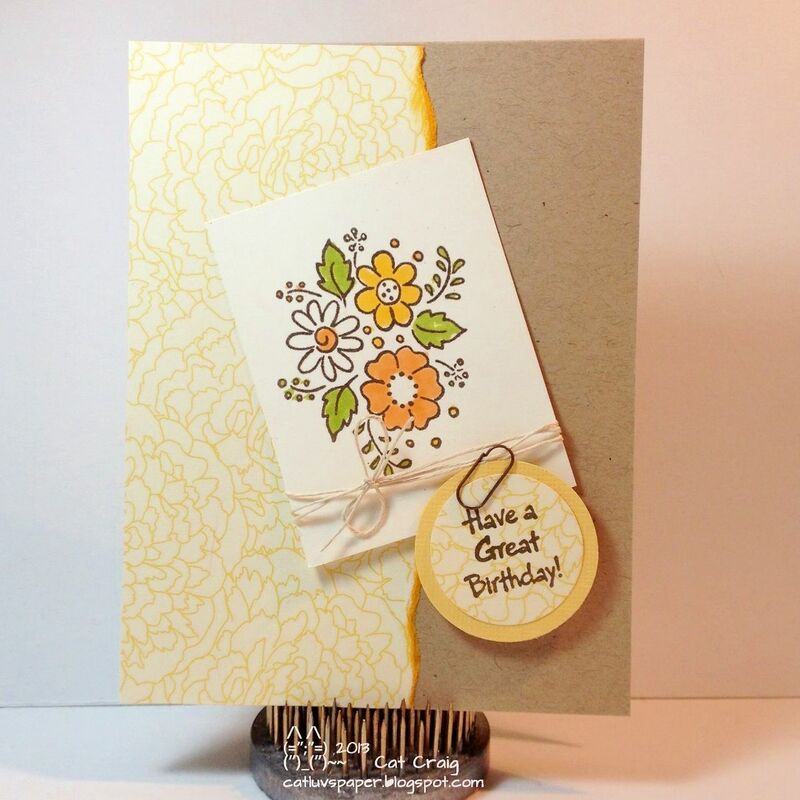 My patterned paper is from Jillybean Soup, coloring was done with pro markers and the string is from sew easy. The melon slices are attached with foam dots, and the entire panel is also attached with foam strips. This card just makes me laugh; and summer should be full of juicy watermelon and lots of laughter! It is good to be back in my craft room...without a creative block! Hubs and I went on a little vacation to Ohio to see his side of our family, and on the return trip we stopped at Niagara Falls for our 5th Anniversary celebration. The falls were stunning both by day and night. I especially loved the the lit up falls viewed from the Canadian side at night. A spectacular sight for sure. 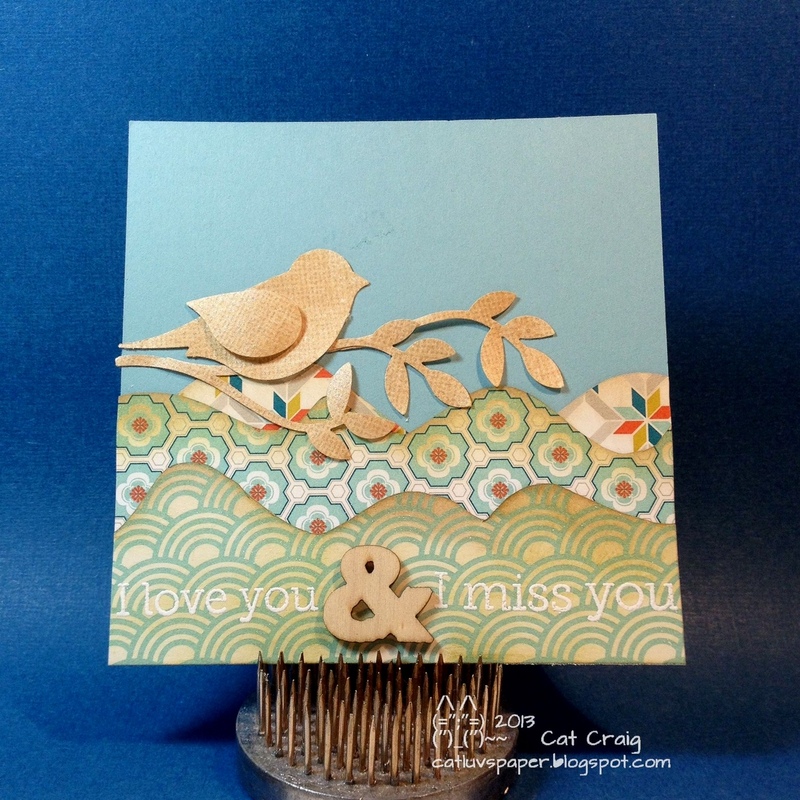 We got back last weekend, and I have had a week of getting back to routines...and absolutely no card making mojo. Then I found out about the Stamp Your Story contest at Hero Arts. I knew exactly what I wanted to make to submit to the contest. You have time to enter to, it runs til September 30th. 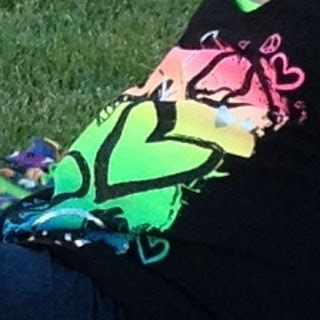 This summer hubs and I have attended several summer sunset community concerts here in Maryland. At one of the concerts I saw a young girl wearing a tank top that inspired this card. 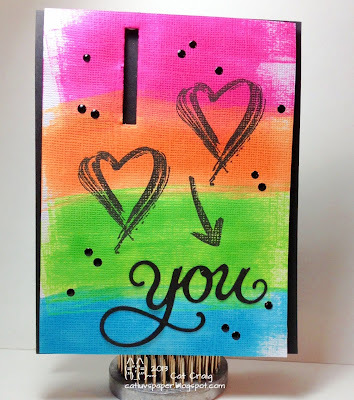 Those hearts, the neon, the black I immediately thought of the Brush Strokes stamp set! 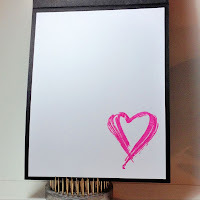 I used some white textured card stock and took my small Hero Arts neon ink pads and created wide bands of color across the card. 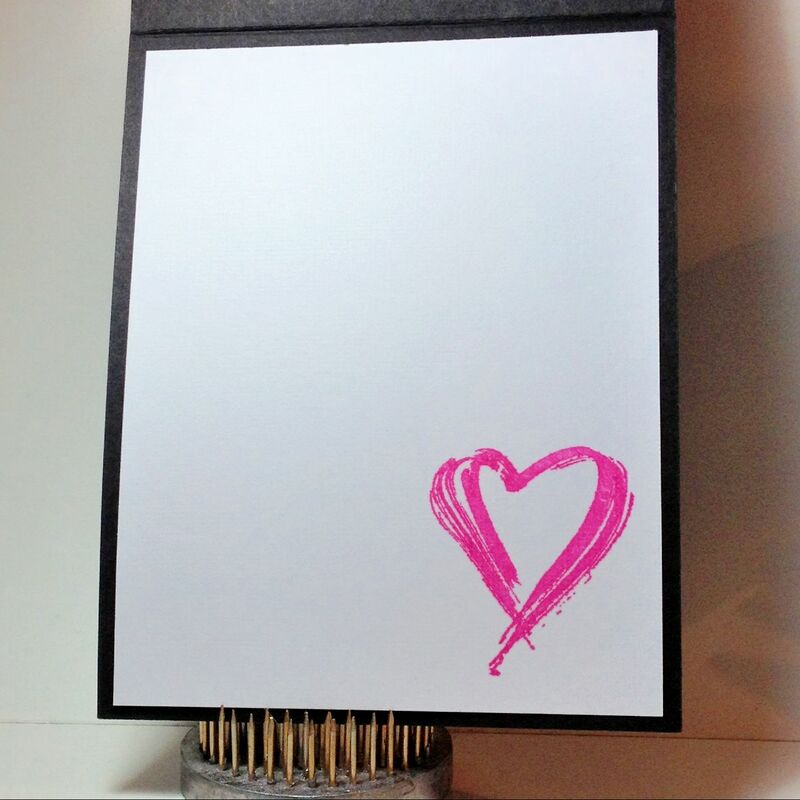 Next I stamped the hearts and arrow. I cut out the "I" on the top panel, and adheared the "you" die cut (part of the Hero Arts Thank You Die) . I mounted this panel on a black card base with 1/8 " foam and then thought something was missing. I tried twine, a bow, leaving it alone...then added some black enamel accents. Love!